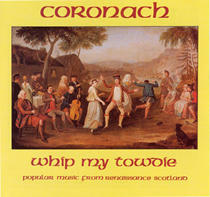 "Whip My Towdie" "A Scot's Tune" "Remember Me, My Deir"
A treasury of popular music from Renaissance Scotland featuring two sets of Ayres and Daunces, some of CORONACH's most popular and accessible repertoire, performed on a galaxy of early instruments - as well as the extraordinary and unique fifteenth century medley song. The Pleugh Sang! 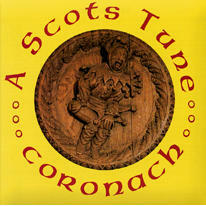 This dynamic recording from Coronach features two new sets of Renaissance Scottish Ayres and Daunces, the stirring 'Battle of Pavie' by William Kinloche and Scottish tunes from 'The Beggar's Opera'. 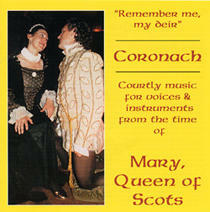 An atmospheric evocation of the court of Mary Queen of Scots in a sumptuous programme of music for voices and instruments, including the finest partsongs and the liveliest dances associated with one of the most colourful periods in Scotland's history.